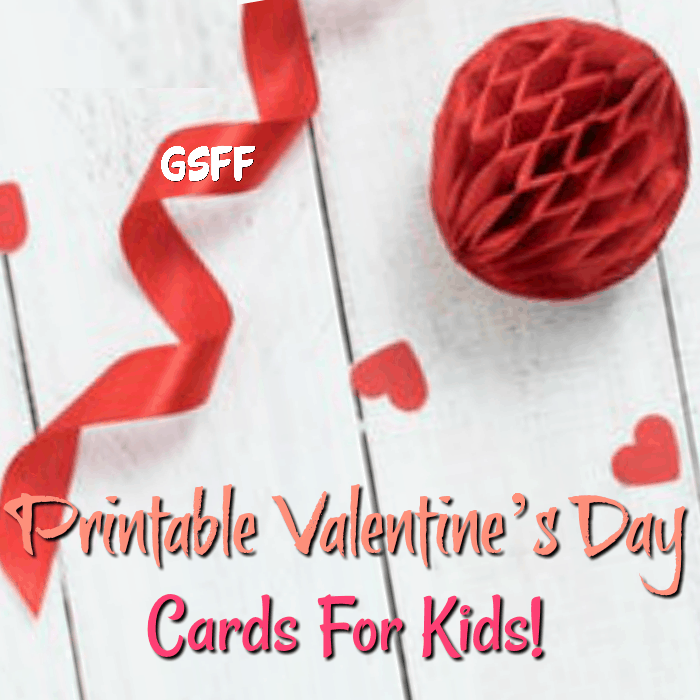 Printable Valentine’s Day Cards For Kids Free! You are here: Home / DIY / Printable Valentine’s Day Cards For Kids Free! Make Valentine’s Day Special With These Printable Valentine’s Day Cards For Kids Free! Every year when Valentine’s Day rolls around the kids get to make fun cards for each of their classmates. We have created some cute printables you can use for your kids, right at home! No running out to the store late on February 13th – c’mon now you know you do! 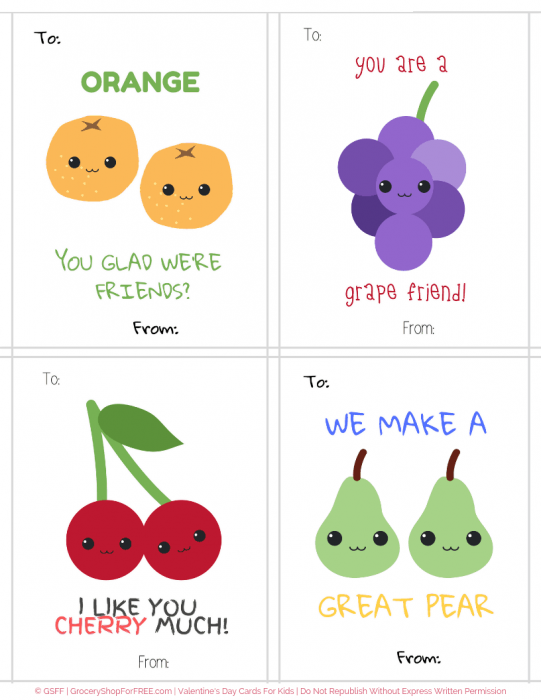 lol You can use these adorable Printable Valentine’s Day Cards For Kids free! Valentine’s Day is just around the corner. Other than the couples sharing gifts of special flowers, chocolates, candies, and jewelry, Valentine’s Day is also celebrated by other members of the family: Your kids! 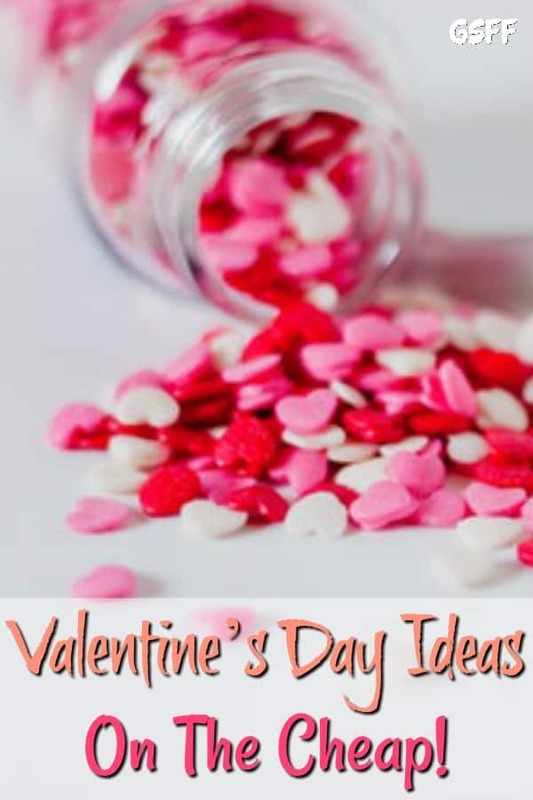 You might also like: Valentine’s Day Ideas On The Cheap! Children also love to express their love for their classmates, teachers, and close friends. And the best way to show it? By sharing fun Valentine’s Day cards. You don’t need to spend a fortune when it comes to giving out Valentine’s Day cards. You can make your own at home. 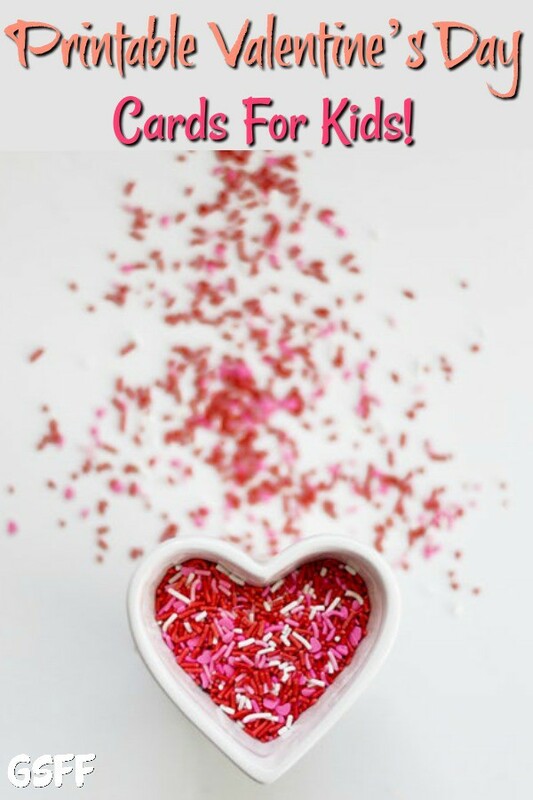 All you just need is a printer, printer paper, or sticker paper, or cardstock, a computer, and a little creativity and you’re all set to make printable Valentine’s day cards for preschoolers free, OR kindergartners, elementary age kids, or anyone! 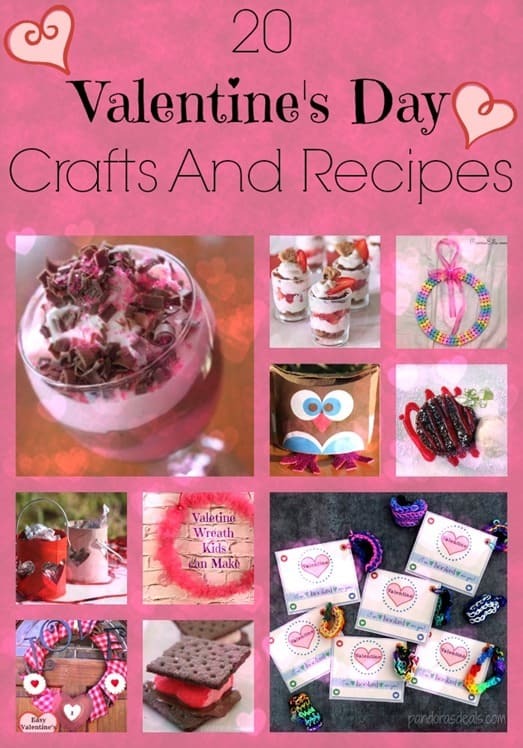 You might also like: 20 Valentine’s Day Crafts And Recipes! But, if you lack the time or the creative juice to create your own, don’t worry, we’ve got you covered! We created a set of printable Valentine’s Day cards for kids that your kids can give to their classmates, teachers, and friends. 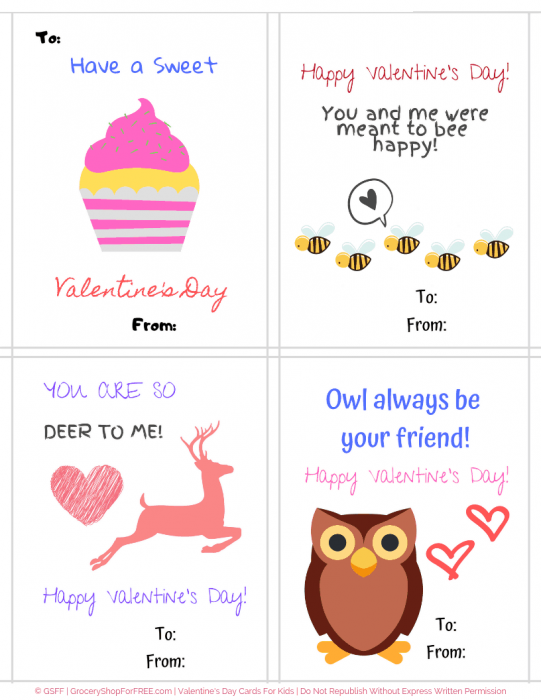 Check out the FREE printables below, just click on each set to download and print the pdf: of printable Valentine’s Day Cards For Kids Free! You can print them on printer paper, cardstock, or even sticker paper and make stickers with them. Then hand them over to your kids and let them get creative with the rest! 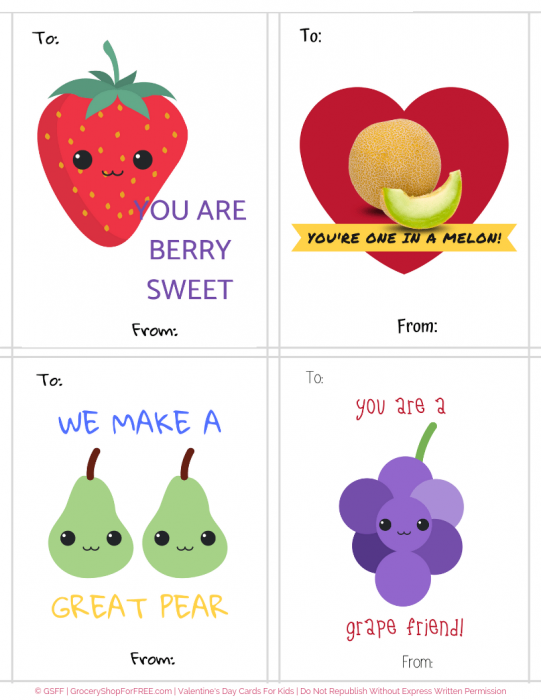 We hope you enjoy these printable Valentine’s Day Cards For Kids!